Getting back over to Asia and onto Australia from Europe was only possible in Business on points by departing from Frankfurt on QF6. 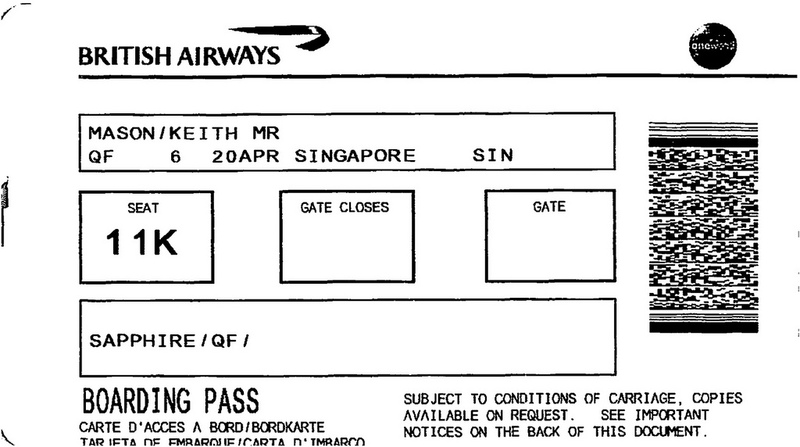 QF5 (to Frankfurt) and QF6 (from Frankfurt) is Qantas’ last non-London European beachhead, and operates daily – departing Frankfurt in the late evening, and one of the first Qantas flights arriving into Singapore and then Sydney. 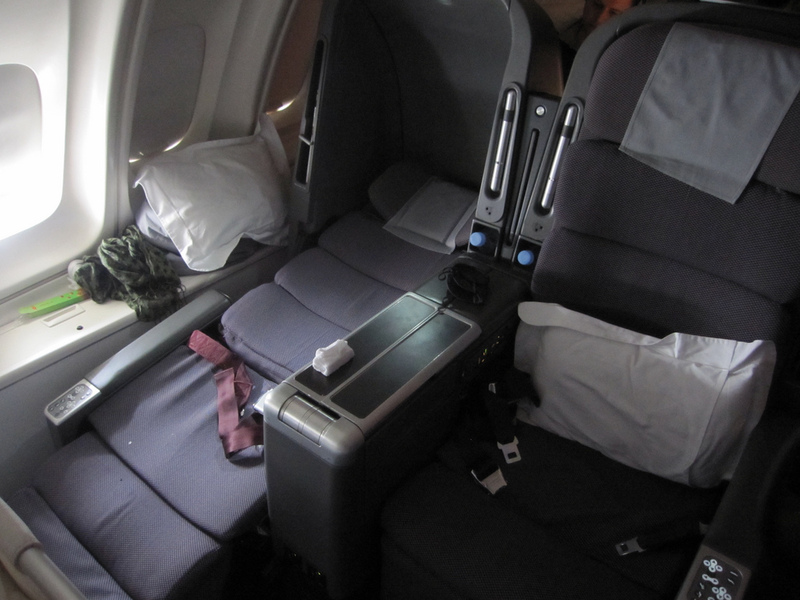 Qantas normally operate this with a three-class Boeing 747 which have been recently upgraded to include Premium Economy. 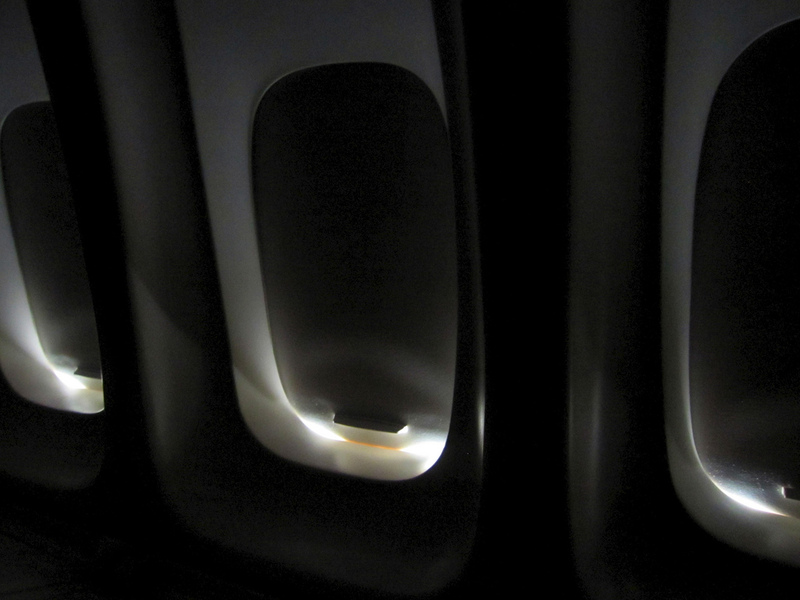 This gave me the opportunity to sample the legendary 747 upper-deck for the first time. 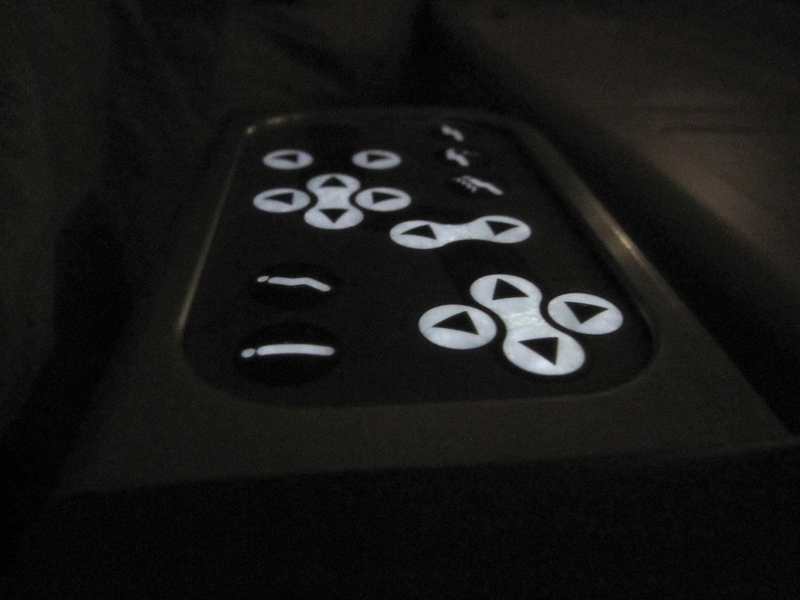 Having previously sampled the 747 nose section I was keen to check out the upper deck – and it didn’t disappoint. More on that later. 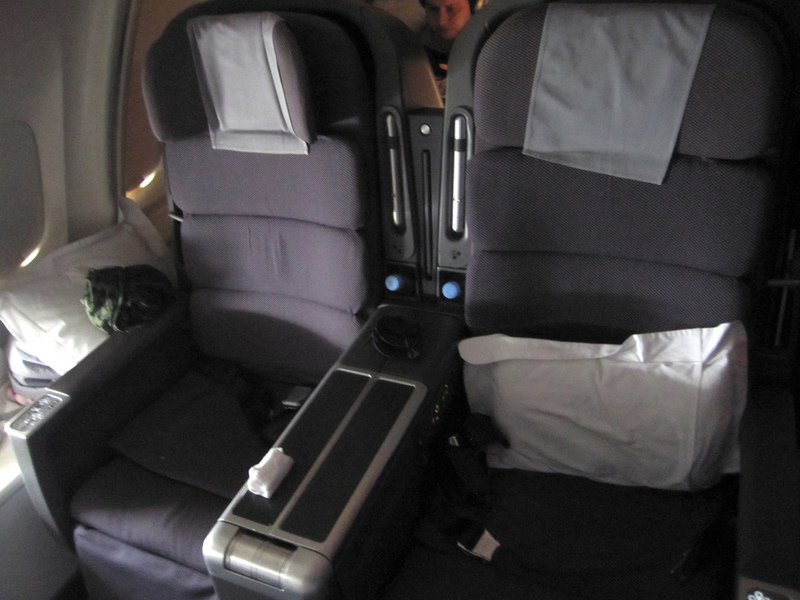 Booking was relatively simple – this was such a key leg of our trip to find Business Class availability on, it was a question of finding two seats in Business around the time we wanted to travel, and paying up the necessary points. Other bookings ended up being made around this one. One key lesson learnt from administering the bookings on this leg was that Any Seat Awards tickets are a pain in the rear to make changes on. I booked an Any Seat Award for the same points cost as a Classic Award to ensure I received Status Credits in order to retain Gold Status, and earnt a few thousand points in the mix as well. It was good in theory, but when it came to making any changes (date or routing) it was a royal pain – so if there’s any chance you will need to make itinerary changes and don’t need the points, keep it to a Classic award (which is cheaper too). At various points before and after booking this ticket I considered (and made) a few changes, but they’re not interesting enough to warrant going into here. 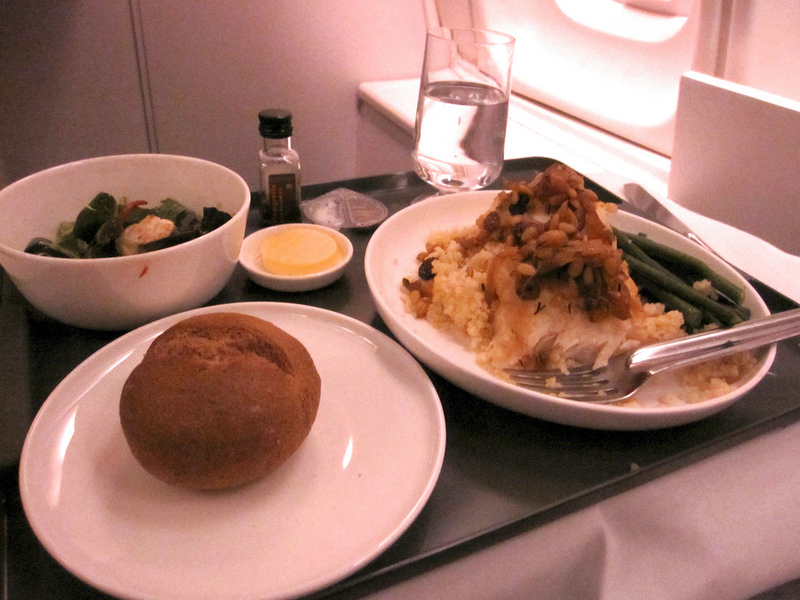 After arriving on British Airways from London, we headed over to the JAL Sakura lounge. After leaving the lounge and mooching around the airport a bit, we headed through security to the gate at around 11pm for the 11.50pm departure. Boarding was typically German-style orderly and the Business Class lane was clear to walk down straight on to the Qantas Jumbo. Walking up the stairs and onto the Upper Deck was a pretty amazing feeling – it all felt very private plane after about the 5th step. We were welcomed thoroughly by the 2 or 3 crew operating upstairs and walked up to 11J and 11K at the front of the cabin, past around 12-15 other passengers – all men! They didn’t look to happy to see a 4 month old (her name’s Zoe, btw) on the Upper Deck, but we quickly got settled and I enjoyed the view through the cockpit doors and watched the Pilots making their last minute preparations. Departure was on time and we were getting comfortable by midnight. 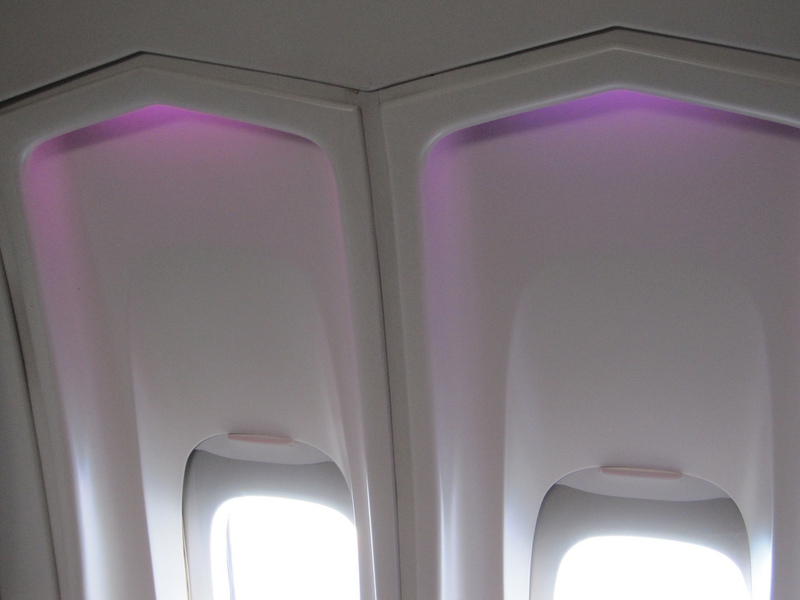 Lights we dimmed to a dull purple as soon as the seatbelt sign was turned off, giving the opportunity to those who wanted to get some sleep. At first I couldn’t decide whether I wanted any food during the main meal service or not, or if I should just go straight for sleep – but in the interests of my stomach for a few hours time I ended up choosing the fish main, thinking it would be lighter than most of the other options. 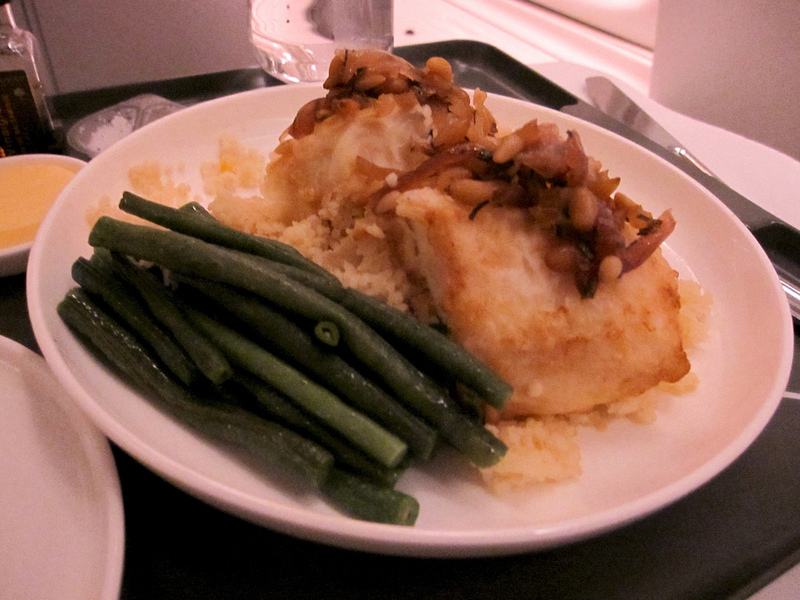 The Halibut was pretty tasty; just the right choice for a 1am main, not too heavy. 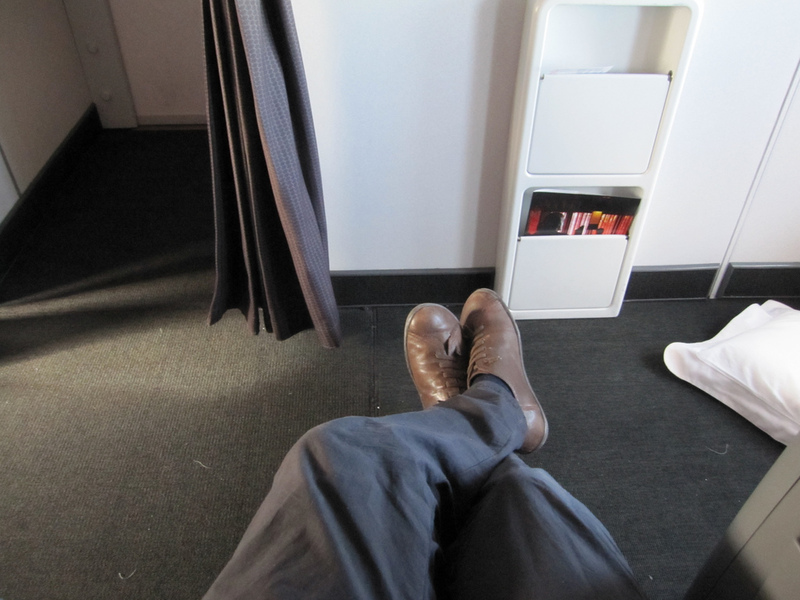 The SkyBed on Qantas 747 is pretty comfortable, but not lie-flat. 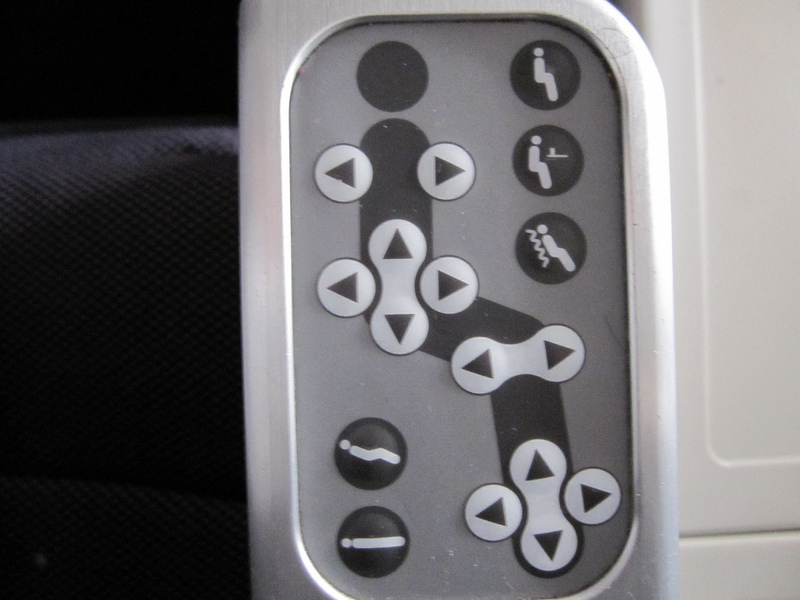 The bulkhead seats on the Upper Deck were very private with only the crewm, passengers seated in this row and those needing to use the bathroom passing by. I was worried there might be a bit too much traffic for my liking up front, but it was actually really quiet. I had also heard that the Upper Deck floor is a little flexible, meaning that if people walk by your seat there’s more movement than if you were sitting downstairs. 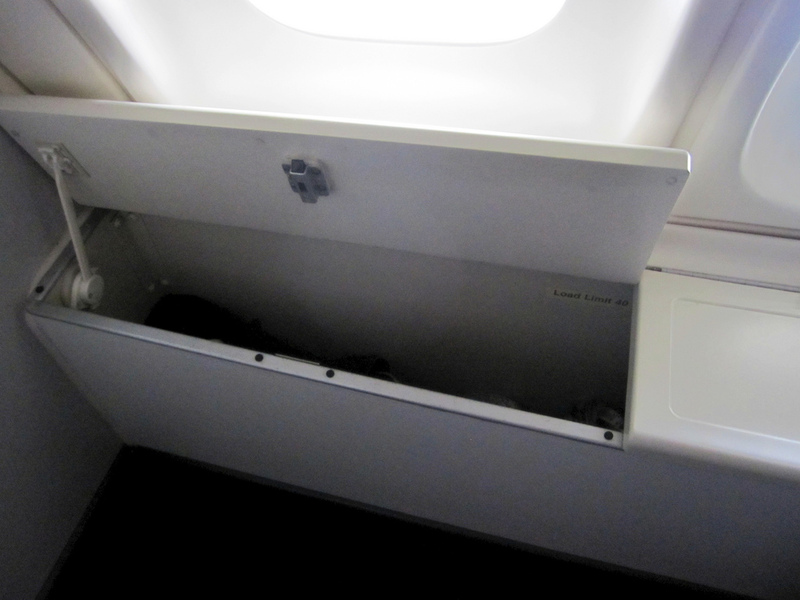 This was definitely the case, but I didn’t find it a problem (however I did sleep in the window seat, 11K, meaning it was probably minimised for that part of my journey). 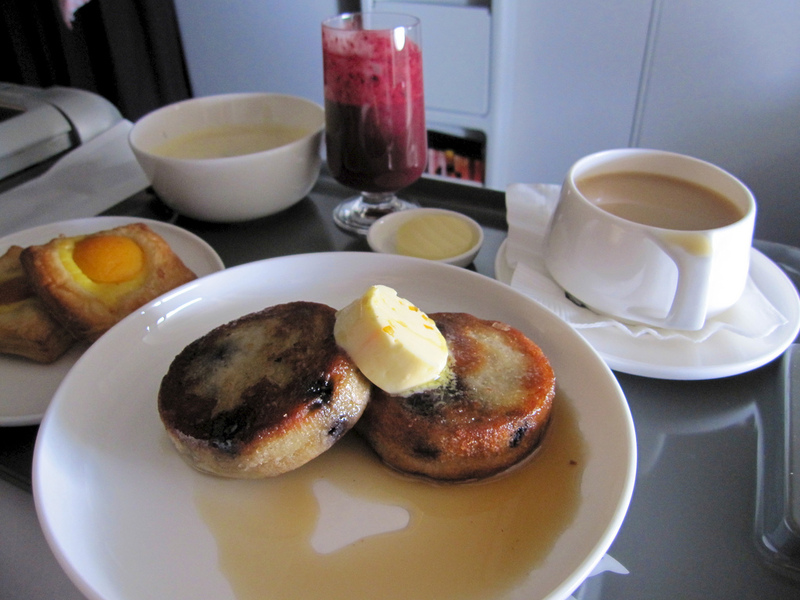 Breakfast orders were taken at the beginning of the flight and it was served around 2 hours prior to landing in Singapore, making it more of a brunch for my body clock. I went for the lighter option to go a little easier on the stomach than the usual meat and protein bonanza that comes with the full English. It was better than most café breakfasts I have had in Sydney (and I’ve had some good ones) so I was pretty impressed. 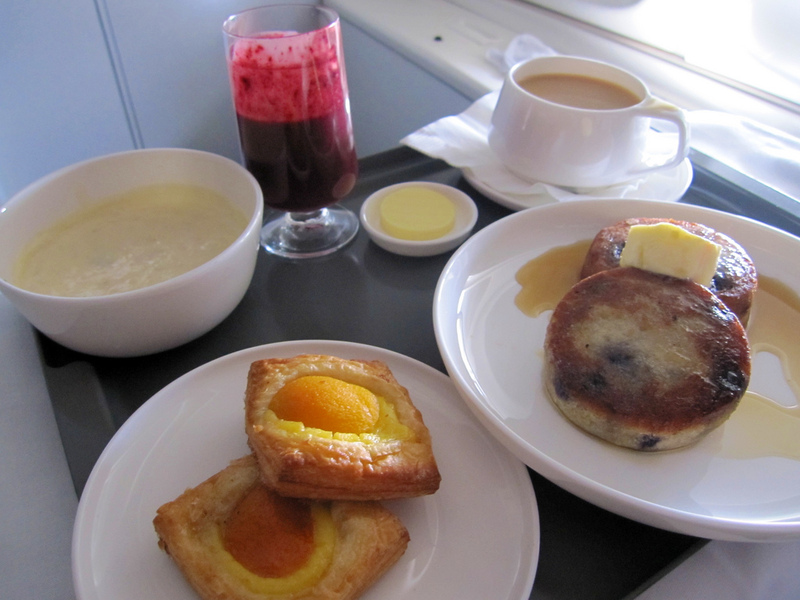 Berry Smoothie, Bircher Muesli, Apricot Danish and Blueberry Hot Cakes and Butter. On landing, the aforementioned men in the cabin actually complemented us on Zoe’s excellent behaviour (she slept for about 7 hours all up, and played quietly for the rest. Just awesome!). We even managed to get around 4-5 hours sleep too which was way beyond my expectations. 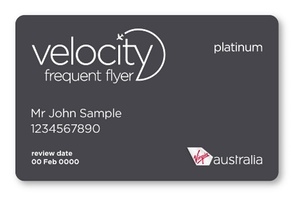 We landed pretty much on time and headed up the ramp to be met by our JetQuay VIP representative – more on that next. 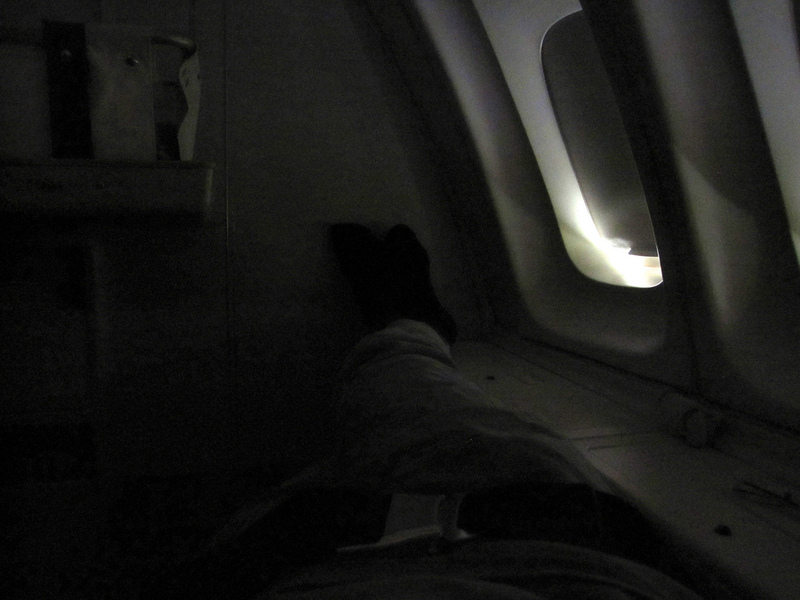 This was such an uneventful and pleasant flight – which it made it really good, but also not much really to talk about! Service from the Cabin Crew (one male member in particular) was outstanding – attentive and really friendly, but not overly so. 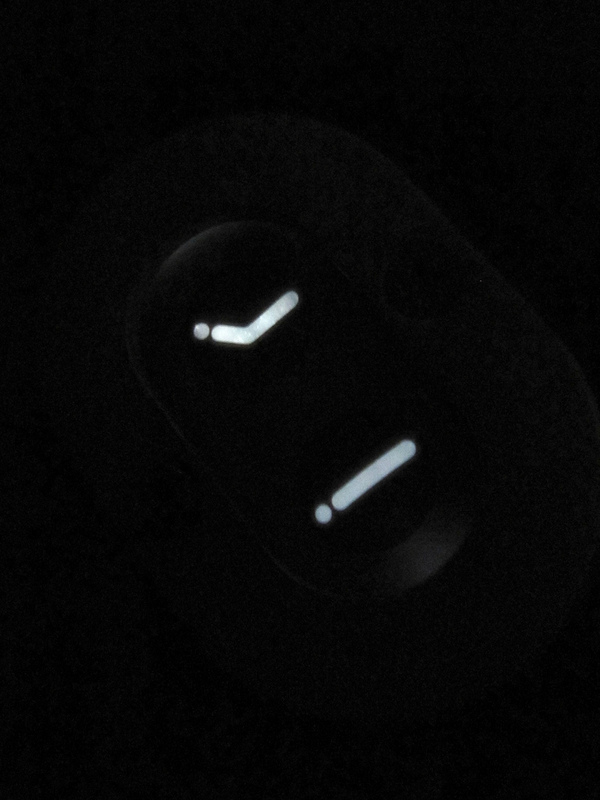 He was an excellent judge of our moods on this leg where we just wanted to maximise sleep for the three of us. If you’re travelling in Business it’s also neat that this is a 3-class service with no First – it seemed like there were more than enough staff to take care of us all and that noone else was taking priority over and above the Business passengers. The only thing I’d change about QF6 is the timing – the almost midnight departure is pretty killer after a day on the road and all the airport shenanigans, but it’s necessary for Qantas to hit a suitable arrival time in Sydney after heading on from Singapore. I’m glad that Frankfurt has remained in Qantas’ route map after their recent announcements; it’s a great option for points redemptions as departures from London are often hard to find seats on – and the recent addition of Premium Economy makes it more valuable to point redeemers still. Don’t forget to check QF5/QF6 in/out of Frankfurt as an option when planning your travels.